One of the largest lots available in Dumfries. 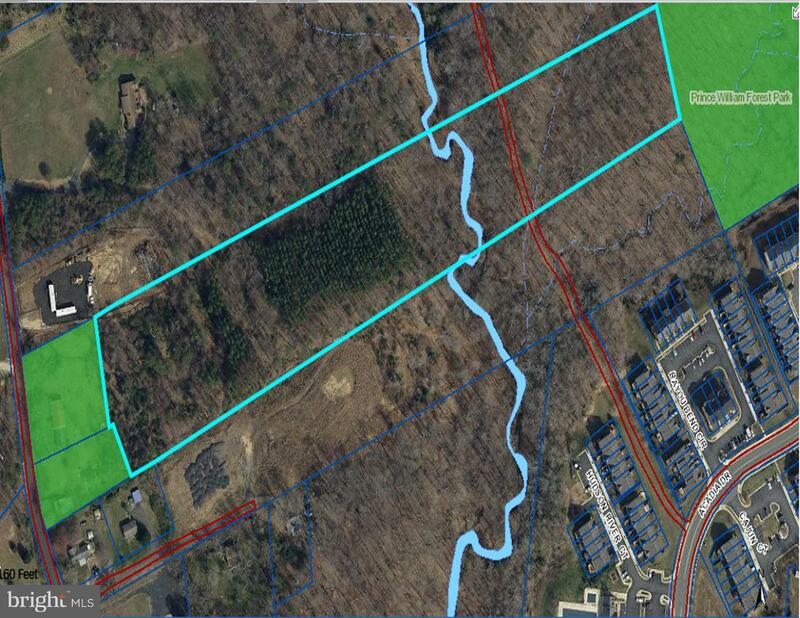 Over 11.5 acres located near major shopping and development. A myirad of ~By Right Uses~ include SFD, Boarding Livestock, Stables (private or commercial), Farm Wineries, Breweries, Lodging Houses, Group Homes, Nurseries, Green Houses, Home Employment, Home Occupation and more. Special Purpose uses include Adult Day Care Facility, Bed and Breakfast, Commercial Kennels, Commercial Riding Facility, Equestrian Center, Private School, and Veterinary Hospital. Public Water Hookup is available nearby. Seller can provide a 20% 2nd Trust to qualified purchasers.